What is real? What is fake? What is a copy? What is a real copy? What is a fake copy? What does this all mean in terms of the space, nature, architecture, and the city? So what? Two days ago in Shenzhen, I purchased a Dunxilu International clutch at Huaqiangbei marketplace for the equivalent of $3.73 US dollars. It was clearly a knock-off, or ‘fake copy’, of the real Dunxilu brand, but after bargaining with the vendor for so long, I could not resist the deal. In this example, the question of real vs. fake is very straightforward. The mediocre quality and cheap price are obvious signs that the item is a fake copy. It was designed to appear and function like an expensive designer brand, but for all I know could fall apart or dye my hand pink in the rain tomorrow. The electronic district of the market was swamped with iphone 4G vendors. Enticed by the thought of a new phone, I had to find out if they were real or fake copies. I discovered that they were in fact ‘real copies’, or iphones that were made in legitimate factories and sold on the black market. In essence, they were real iphones sold illegally. When it comes to material objects, the definition of real, real copy, and fake copy is an easy concept to understand. 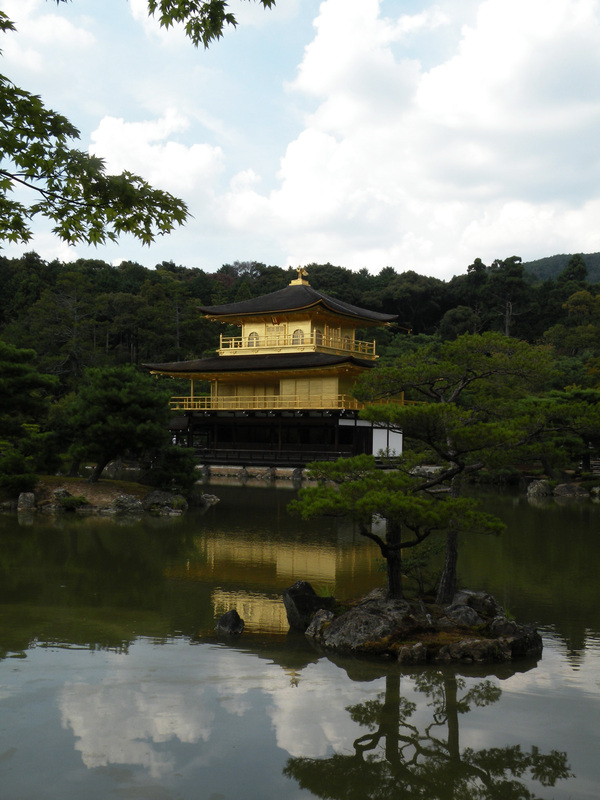 After the Golden Pavilion burnt down in 1950, it was restored and is said to be an exact replica. However, while the original was built with pure gold leaf, the restored pavilion is coated with gold paint. In 1987 it was recoated, and then in 2003 the roof was restored. Is this not equivalent to the Dunxilu clutch that I purchased? Like the purse, the pavilion was created to look like the original and was built with cheaper materials. Is the Golden Pavilion a fake copy? The Ise Shrine is a respected and honored Japanese monument that is reconstructed every twenty years. This ensures that the method of construction and materiality is passed on from generation to generation, upholding the culture and wisdom of ancient times. While this preserves the process, doesn’t this also mean that it is a copy? The shrine that hundreds of tourists visit everyday is the 61st iteration of the original. It is not real. Is it? Is it fake? Like the real copy of the iphone, the Ise Shrine was built like the original. When you see it, you are aware that you are not seeing the original shrine, just like you know that you are not buying a real iphone. When it comes to analyzing cities in terms of real and fake, it is not as simple as looking for a knock-off brand imprint or judging the quality of building materials used. This is because cities are not singular objects, like one could argue buildings or iphones are. Cities not only consist of iphones, purses, and architecture, but are composed of layers and layers and layers of infrastructure, culture, politics, economics, and mental experiences. As if this isn’t complicated enough, the city is also changing, growing, and morphing everyday. I began this post with the intention to categorize cities like Las Vegas, Los Angeles, and Shenzhen as I did above. At first glance, one might say that Shenzhen is fake. 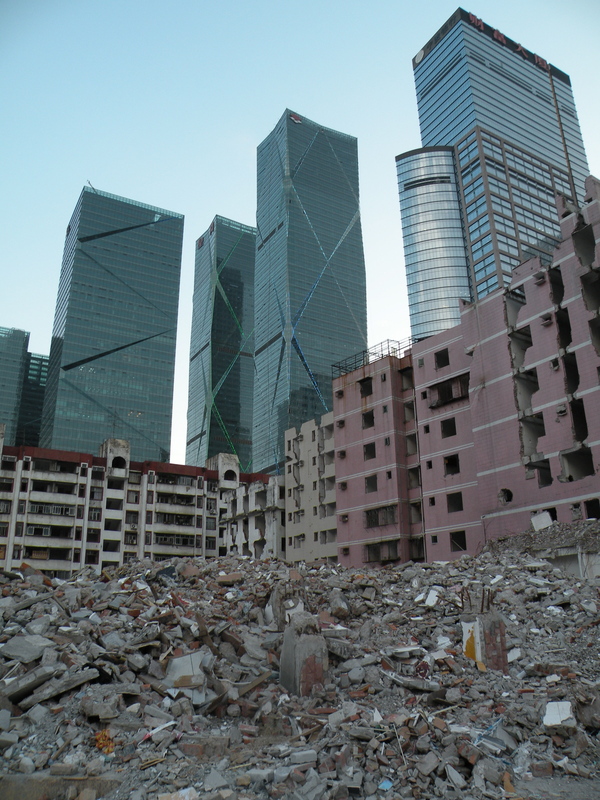 While cities typically evolve and densify naturally over time, Shenzhen went through a forced evolution that literally transformed it from a fishing village to southern China’s financial center in thirty years. It would be difficult to argue that this Special Economic Zone is not a success. Does it matter that the city did not develop under natural evolutionary terms? Does this make the city any less real? Because I am used to the pace and city dynamic of Los Angeles, Shenzhen seemed so foreign to me that it was challenging to get my bearings for the first few days. I had trouble attributing an identity to the city. Perhaps this was why I was eager to label it ‘fake’. After further investigation and immersion into Futian, Shenzhen, I began discovering little moments that gave the city character. 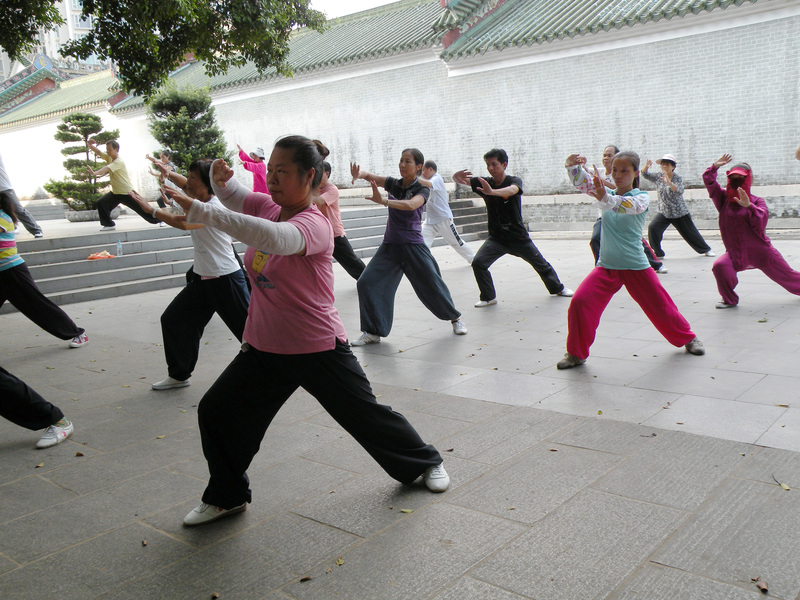 A free kickboxing match, haggling with the market vendors, watching hundreds of locals practicing tai chi next to an urban village. These short glimpses formed my impression of Shenzhen, and is what I will carry with me after this program and long after I graduate. It doesn’t matter how quickly or how naturally a city is created. Experiences are what make cites real.